Anyways on to today’s post. Recently Maybelline launched new MATTE lipsticks and if you’ve read my posts before matte lipsticks are my absolute favorites, so I HAD to pick some of these up! Keep reading to see my thoughts on these babies! From Top to Bottom: Lust for Blush, Mesmerizing Magenta, and Divine Wine. These are $5.49 at Target, which I have heard is the cheapest place, and honestly it’s the only place I could find them, Because they are a new item they are sold out a lot of places besides Target. My favorite matte lipsticks are from MAC which are $16 a pop, so these are super affordable. If you aren’t sure about this whole matte lipstick trend, I would try with these first because they are a great price. There are 10 colors in the collection, ranging from nudes to super dark vampy lips. I love how there is something for everyone in this collection. Whether you are trying to achieve the Kylie Jenner lip or you want a hot pink lippie for a night out, this collection has it all. These are super creamy and highly pigmented. Although they are matte, they don’t leave your lips looking flat or dead. They also stay on a pretty long while, which is one of my most favorite things about matte lipsticks. 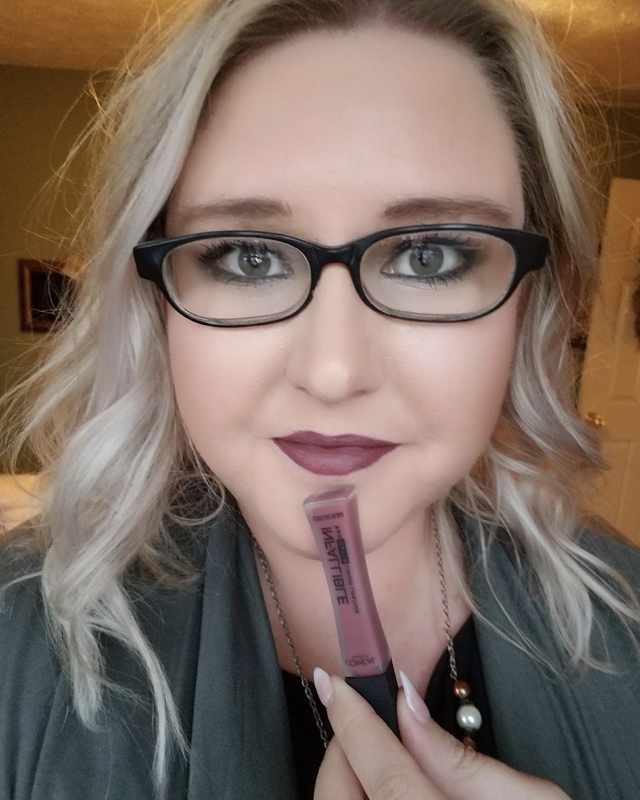 Here I am wearing my favorite shade…Divine Wine! Do you think you will be picking up one of these? I love that shade, but I’m such a chicken when it comes to trying lipsticks. I’m always afraid I’m gonna rub it all over everything. Haha. Ya look fabulous, dahling. I love that lipstick on you! Such a beautiful color! I want to try one of the darker nudes but I’m so fair skinned. I’ve heard they’re amazing though! They look gorgeous! I’m definitely going to try them. Divine Wine looks amazing on you Anna! I think your lipstick posts are my favorite. They always inspire me! I’ve been wearing lipstick a lot more often thanks to you! These colors are gorgeous. I especially like the Divine Wine. You look so pretty in that picture! I have quite a few Clinique lipsticks, so I’ve been wearing those! I definitely need to get some new ones soon, though. Oh awesome! I’ve never tried Cliniques lipsticks! I really wish I was braver with my lips. You look fab in that shade! I’ve been wanting to try some new makeup routines, so I’ll be adding this to my list. Dumb question–how long does it last and does it smear on everything? I really don’t want to wash lipstick out of my kids clothes.